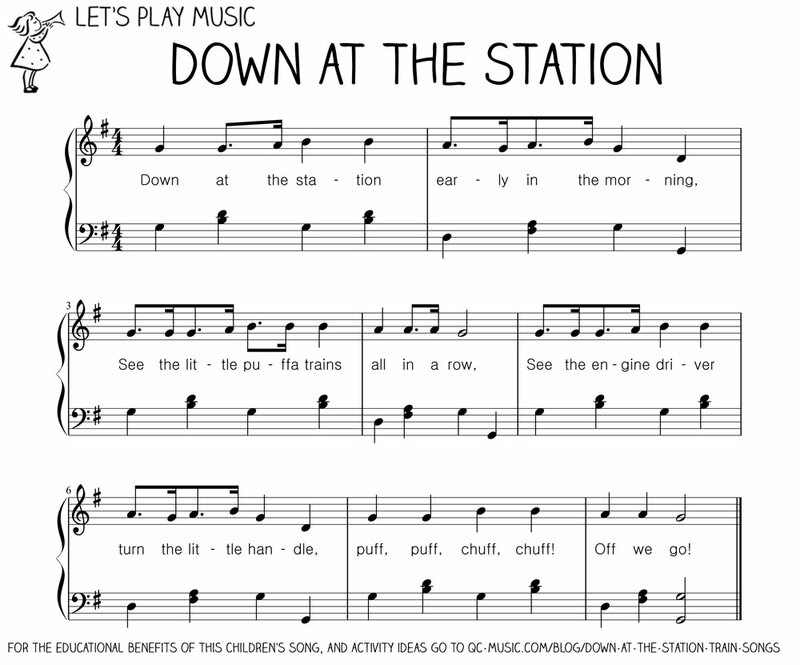 Down At the Station is one of the great train songs because it combines the passion that many small children have for trains with some useful counting practice at the same time. 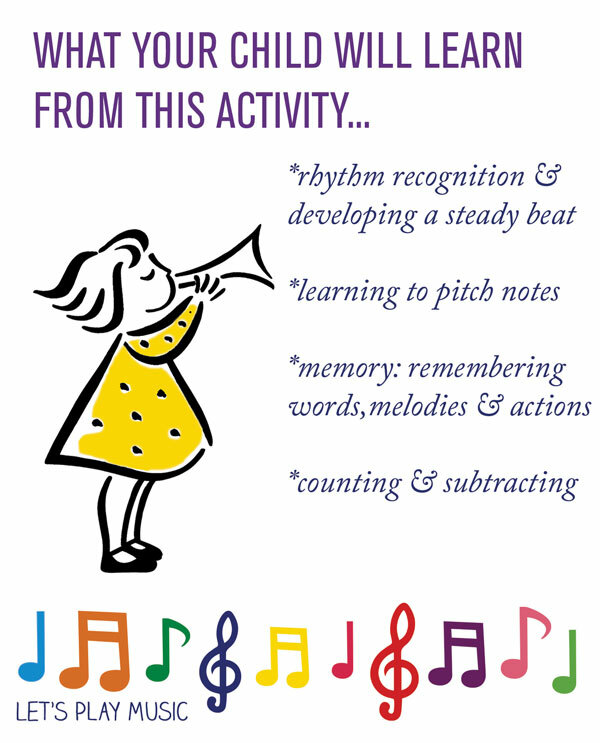 Here is a great way to bring the song to life – whilst learning some numbers! Puff, puff, chuff, chuff, off we go! Line the trains up, counting as you go. As you sing the song, one train moves off down the track. Ask the children how many are left, and repeat the song in this way until all the trains have gone. Use fingers to help with the counting as well as an exaggerated action of turning the engine handle, which is lots of fun. Encourage plenty of puffing and chuffing and a few high pitched toot-toots! To continue the train themed activity, you can play these lovely classic train songs; Puffin Billy and Chattanooga Choo Choo and actually pretend to be the trains. If you have a few children you can get them to link up behind each over, conga style. Choose two people to be a bridge and the others can go through it. 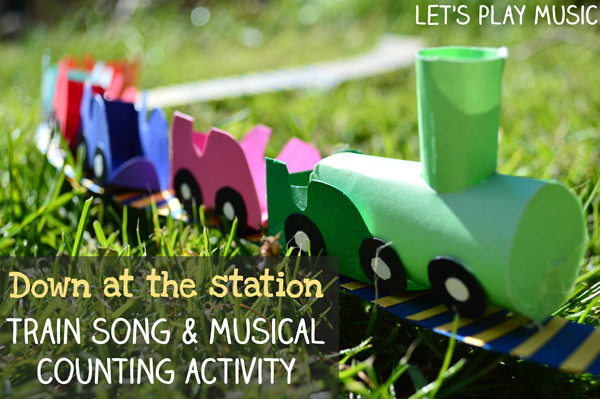 If you’re looking for more train songs for kids, or classical music for train-loving kids, visit this great post on Classical Train Music from Play Trains! 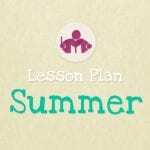 If you’re looking for more transport themed activities, check out our Buses & Trains lesson plan for a 30 minute, structured and lively lesson! 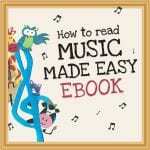 Follow Sara @ Let’s Play Music’s board Counting Songs on Pinterest. I had never heard the title of “Puffing Billy” before, or realized it was about a steam train. Thanks to you (and Google) now I have. I recognized it immediately as “Captain Kangaroo’s Theme Song,” But that would only be known by Americans who were kids who watched television in the 60’s, I think! Hi Susan, I’m glad you like it! In the UK it was played as the theme tune to a popular children’s BBC radio programme in the 1950’s. It is very nolstalgic isn’t it? Hi Susan, I’m glad you like it! In the UK it was played as the theme tune to a popular children’s BBC radio programme in the 1950′s. It is very nolstalgic isn’t it?